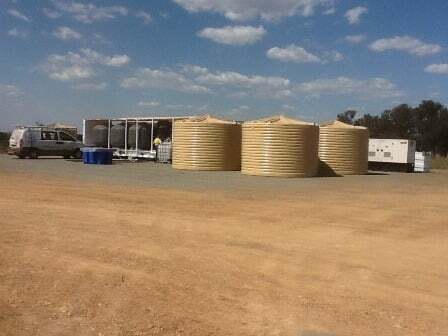 Arris Water has been commissioned by WestSide Corporation to design, build and operate a pilot plant that can prove that the use of natural media will produce a long term sustainable treatment method for the reduction of salinity and sodicity in its water streams associated with the production of Coal Seam Gas. 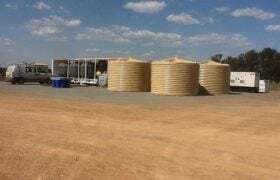 In addition, the research is to prove and confirm that the water so treated can be used to optimise the beneficial reuse options in agriculture. Arris Water is conducting this project in strategic partnership with Arris Pty Ltd and the Central Queensland University. 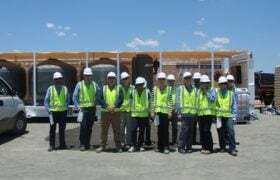 The project is for the design, construction, operation and maintenance of a pilot plant capable of conducting a scale test for a period of 27 months. This pilot plant is designed to be able to treat up to 50,000 litres of associated water per day, with the capability of being scaled up to 150,000 litres per day (or higher). Arris Water has developed a new synergistic blend of volcanic ion exchange media specifically for the treatment of CSG water. 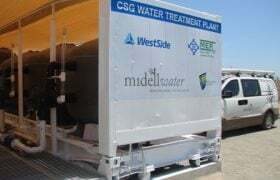 The pilot plant is the first commercial pilot application of this ion exchange for the treatment of CSG water. 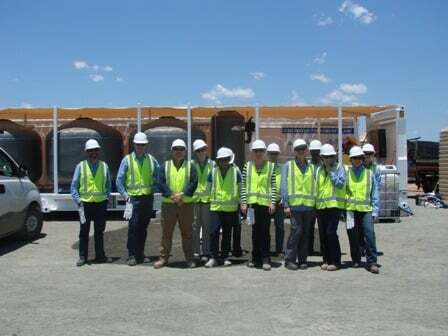 A small Reverse Osmosis (RO) unit will be incorporated into the pilot plant. By shandying RO treated water with the ion exchange treated water, adjustments can be made to the total salinity that improves the overall quality of the water for irrigation purposes. The aim of the complete research project is to prove that the proprietary technology and treatment methodology owned by Arris Water will significantly reduce the sodicity and salinity risk of the product water. 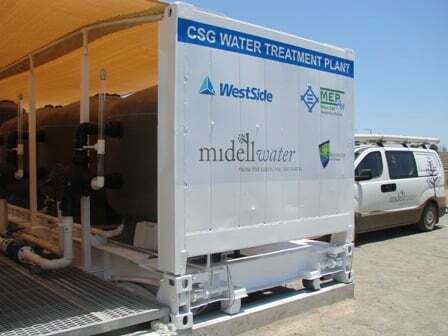 This process will also show that the treated water can be beneficially reused to increase the productivity and profitability of the agricultural users of the water, while minimising any risk to the environment and complying with all existing and future regulations attached to the production of such water by WestSide.